* Correction, April 9, 2013: The paragraph referencing JPMorgan Chase’s partnership with the state of Louisiana has been updated for purposes of accuracy. March 1, 2013, marked “the end of cash” for the U.S. government. Starting on that date federal payments such as Social Security, Supplemental Security Income, also known as SSI, veterans’ benefits, and retirement benefits for federal employees were, for the most part, no longer available in check form, and instead were only made available electronically. In other words, beginning in March, most new recipients of federal government payments no longer receive paper checks. This move is expected to save the federal government $1 billion over the next 10 years. Not only are electronic payments often less expensive to process than paper checks, but they can also reduce the potential for fraud and can provide more flexibility to recipients, according to the Government Accountability Office. In practical terms, this means that recipients of federal payments have two options: They can elect to receive their payments by direct deposit to a bank account of their choice, or they can use a government-issued prepaid card called the Direct Express Card. This is an easy decision for the vast majority of Americans, given the fact that they have had bank accounts their entire lives and just need to set up direct deposit. But for the millions of adults in America who do not have bank accounts, including seniors and the poor, this is a much tougher choice. These individuals can open an account at a bank or credit union, or they can go with the Direct Express Card. Consumers also have the option of switching to another prepaid card if it meets certain requirements. The federal government’s shift to the Direct Express Card is part of a broader trend toward electronic transactions replacing cash and paper checks. Beginning in 2003 more electronic payments were made in the United States than check payments. Even environments where one would expect cash to be more prevalent such as on airplanes or at tollbooths, the switch has been made to electronic payments. Major airlines have shifted to “cashless cabins,” requiring credit or debit cards for onboard meal purchases. Several states now have toll roads that rely solely on electronic payments instead of cash. Even the U.S. Treasury itself began moving away from cash several decades ago, when the iconic Cash Room—a two-story marble hall in the Treasury building where government checks could be cashed—closed in 1976. The Federal Deposit Insurance Corporation, or FDIC, estimates that there are approximately 17 million adults in America who do not have a checking or savings account. They are known collectively as the “unbanked” population, which makes up about 8 percent of all American households. An additional one in five households in the United States are “underbanked,” meaning that they have bank accounts but also use nonbank financial services such as check cashers and pawn shops. Many populations most affected by the shift to electronic payments have much higher rates of being unbanked, according to the FDIC. Nearly 1 million households ages 65 or over are unbanked, and another nearly 3 million are underbanked. About 8 million American households earning less than $30,000 a year have no bank account, and another nearly 10 million are underbanked. Thirty percent of households earning less than $15,000 a year are unbanked, as are 22 percent of all unemployed people. Nearly 45 percent of unbanked households previously had a bank account, while others have never used banks or credit unions in their lifetimes. Without bank accounts, the unbanked have traditionally relied on cash-based financial services such as check cashers, money orders, and in-person bill payment to handle their transaction needs. But the federal Direct Express Card is part of a new wave of prepaid cards that can bring millions of unbanked Americans into the financial system while providing tremendous benefits, including the ability to make purchases without carrying cash; saving money and time by avoiding check cashers and money orders; paying bills electronically; getting cash from automatic teller machines, or ATMs, and merchants; and living financial lives much akin to their counterparts who have bank accounts and debit and credit cards. For an increasing number of Americans, prepaid cards are already a familiar product. Currently, 41 states and the District of Columbia use prepaid cards to distribute unemployment benefits. Several states also use prepaid cards for tax refunds, although for the time being federal tax refunds are still distributed by check. Moreover, in recent years both traditional brick-and-mortar banks and alternative prepaid card providers such as GreenDot and NetSpend have sold millions of prepaid cards to consumers. About 3 million people without traditional bank accounts now manage their money with prepaid cards. And according to the FDIC, fully 27 percent of households that once held bank accounts but don’t anymore used a prepaid card in 2011—and that number is steadily growing. What’s more, competition and innovation in the prepaid-card market has meant new features and decreasing fees, making the product even more attractive to consumers. That is not to say, however, that prepaid cards are free of pitfalls, including some that carry high fees. Most notoriously, in 2010 the fee-laden “Kardashian Kard”—which had an upfront fee of at least $59.95, a minimum fee of $1.50 for every ATM withdrawal, and a fee of $1.50 for live customer service—was quickly pulled from the market after the celebrities themselves, the Kardashian sisters, withdrew their support. Products on the market today have improved, but it is still possible for the users of these types of cards to be nickel-and-dimed on fees. Federal regulators such as the Consumer Financial Protection Bureau and the FDIC have a role to play in ensuring that an expanding prepaid sector for both government and private cards ultimately serves consumers’ needs. These agencies should take actions to ensure that prepaid cards are safe, affordable, and transparent, and that consumers know how to use them wisely. They should also propose and enforce minimal standards for state-government-issued cards that are similar to the federal government’s Direct Express Card. And as prepaid cards increasingly resemble bank accounts, regulators should look to treat them the same way. This issue brief examines the growing role of prepaid cards in the economy, the various types of prepaid cards on the market, and the potential benefits and drawbacks of a growing prepaid sector. Since 2009 the FDIC has asked Americans nationwide about their banking habits as part of the U.S. Census Bureau’s Current Population Survey. Under a 2005 law, the FDIC is required to conduct ongoing surveys about unbanked consumers and banks’ efforts to reach them. The latest National Survey of Unbanked and Underbanked Households estimated that the number of unbanked consumers increased from 7.6 percent in 2009 to 8.2 percent in 2011. According to the FDIC survey, unbanked consumers give several main reasons for not having bank accounts. About one-third of unbanked households—whether or not they have previously had an account—claim that they do not currently have a bank account because they do not have enough money. This is the most common reason given. The second-most common reason given—by 26 percent of households who have never had a bank account and 16 percent of the formerly banked—is that the consumer does not need or want an account. Other reasons given include that the consumer doesn’t like dealing with banks or doesn’t trust banks and that fees or minimum-balance requirements are too high. And about 15 percent of formerly banked households report that they either previously held a bank account that was subsequently closed by the bank or that they are unable to open an account due to identification, credit, or banking-history barriers. Being unbanked has often meant that these consumers rely on cash-based financial products such as check cashers and money orders, which can have several consequences. One such consequence is that these products may cost more than having a bank account. Check-cashing fees may range from 1 percent to 5 percent of one’s paycheck or government-benefit check. Between 1987 and 2006 the cost of cashing a paper payroll check more than doubled, and the cost of cashing a Social Security check increased by 53 percent. Money orders, which can be used for payments in place of checks, cost $1.20 each for amounts up to $500 through the U.S. Postal Service; other money-order vendors may charge similar rates. Consider a low-income worker who is paid $700 every two weeks and needs to buy two money orders each month: With a 2 percent check-cashing fee, he or she would pay more than $30 per month just for financial services. Beyond cost factors, being unbanked or underbanked may also leave families more vulnerable to loss. Consumers who rely primarily or exclusively on cash face the risk of theft. An analysis of payday lenders in the city of Seattle found that the presence of these alternative financial-services companies, which are often used by underbanked consumers, was associated with increased violent-crime rates, possibly because payday-loan recipients carry large amounts of cash on them. Moreover, without access to secure methods of saving money such as a savings account, unbanked consumers may have more difficulty coping with emergencies. Roughly half of all Americans at all income levels would “probably not” or “certainly not” be able to come up with $2,000 in 30 days to deal with an emergency, according to a recent nationwide survey by the market research firm TNS Global. This lack of financial security was a reality for about three-quarters of those earning less than $20,000 per year in 2009. In the early 2000s financial-services giants Visa and American Express launched some of the first prepaid cards—then called “stored-value cards”—to enable parents to set aside funds on a prepaid card for their teenage children to spend. These cards were more flexible and convenient than handling cash, and they enabled parents to track their children’s spending. Since then prepaid-card use has grown rapidly, with the Federal Reserve reporting 1.3 billion general-purpose prepaid-card transactions in 2009. This is up significantly from the 300 million transactions that were made in 2006. Prepaid cards represent a more formalized financial relationship for unbanked consumers. Prepaid-card users have access to many of the same features as their counterparts with checking accounts, including withdrawing cash from ATMs, paying bills online by debit card, making electronic transfers between accounts, receiving direct deposits, and even depositing paper checks using a mobile phone. And prepaid cards have the potential to save consumers both time and money by avoiding the need to go to multiple retail outlets for their financial transactions. The usage of prepaid cards has grown significantly among the unbanked. In 2009 only 12 percent of unbanked consumers used prepaid cards; by 2011 18 percent did. And among the previously banked—those who once had a traditional bank account but no longer do—usage increased from 19 percent in 2009 to 27 percent in 2011. This suggests that prepaid debit cards are being used as substitutes for traditional bank accounts. And contrary to the FDIC’s estimates of an increasing unbanked population, if prepaid usage is considered equivalent to having a bank account, the percentage of unbanked Americans remains constant at about 6.7 percent of all households. As the Center for American Progress noted in the fall of 2012, the FDIC should consider changing its definition of a bank account to include prepaid cards. Clearly, prepaid cards can be a substitute for financial services such as check cashing and money orders that could be more expensive and less appealing. And the trend seems to indicate that prepaid cards and bank accounts are converging. The FDIC has even tested a model bank account for unbanked consumers known as a Safe Account that relies on a card-based structure. Government-issued prepaid cards have been available for more than a decade both to access in-kind benefits such as the Supplemental Nutrition Assistance Program, or SNAP, and to replace cash. Forty-one states and the District of Columbia currently use these cards to distribute unemployment benefits. In 2012, six states used prepaid cards to distribute tax refunds. Cards receiving federal benefit payments have stricter regulations that make them more comparable to bank accounts. These regulations include mandating FDIC insurance to safeguard funds on the account, requiring either paper statements to show card activity or access to a 60-day written account history by request, as well as expanded consumer protections for lost or stolen cards. A growing number of employers issue prepaid cards—known as payroll cards—to workers who choose not to enroll in direct-deposit programs. One such employer is WalMart, which in 2009 began issuing payroll cards to its employees. Similar to government prepaid cards, payroll cards have regulations that are more comparable to bank accounts. The City of San Francisco has promoted model payroll cards to employers throughout the city through its CurrenC SF initiative, which encourages direct deposit but also sets minimum standards for participating cards. These features include no overdraft fees, no monthly or annual fees, and at least one free bank withdrawal and one in-network ATM withdrawal per pay period, as well as one free phone call to a live customer-service agent each month. These cards are issued both by traditional brick-and-mortar banks and by other prepaid-card distributors such as GreenDot and NetSpend. These types of cards have been marketed as a way to properly manage spending and, in some cases, as a bank account substitute. Many, but not all, of these cards have FDIC pass-through insurance. In other words, even if the card provider is not an insured bank, the consumer’s card balance is insured through another bank that holds all deposits. Cards that can also receive government payments through direct deposit must be FDIC-insured and meet similar requirements as government and payroll cards, but they do not have restrictions on fees. While prepaid cards are closely related to gift cards, most gift cards have more stringent consumer protections. They are not discussed in this brief. Cards that can only be used in one store or a set of related stores are considered gift cards, not general-purpose reloadable cards. Gift cards are subject to provisions in the Credit Card Accountability, Responsibility, and Disclosure Act of 2009, including a ban on any fees within the first year, limitations on service fees after the first year, and restrictions on when funds can expire. Instead, some merchants now charge an upfront activation fee for their gift cards—an arrangement that is not always attractive to consumers. General-purpose reloadable cards must be marketed separately from gift cards, but they sometimes co-exist on store shelves, making it more difficult to distinguish one card from another. Despite their advantages for unbanked consumers relative to carrying cash, prepaid cards still have potential drawbacks when compared to bank accounts, as shown through the examination of products on the market in early 2013. According to the National Consumer Law Center, which recently reviewed states’ unemployment-benefit cards, 18 states with unemployment cards offer at least one free non-network ATM withdrawal per month, making benefit dollars available to consumers even in areas where network ATMs or branches may not exist. But other states make it difficult to regularly access cash for free. Tennessee’s card, for example, offers two free ATM withdrawals per month, but benefits are paid weekly. Moreover, in Missouri and Arkansas there is no way to withdraw funds from accounts for free at a teller, even though this is the only way to fully cash out and obtain the full amount left on the card. Similarly, with general-purpose reloadable cards, cash access varies based on the network to which the card provider belongs. Consumers using cards issued by banks that have widespread branches and ATMs or that are in partnerships with national retailers may easily get cash for free in certain locations. But some cards do not have any in-network ATMs, and many general-purpose reloadable cards will charge as much as $2 or $2.50 for cash withdrawals at non-network ATMs, in addition to fees imposed by the ATM’s owner. RushCard users, for example, may be charged up to $2.50 for each ATM use—plus fees from the ATM’s owner—no matter which ATMs they choose. While not an issue for government cards, which do not accept nongovernment funds, users of general-purpose reloadable cards may actually need to pay a fee when depositing funds on the card. This process is also known as “loading” funds. Reloading GreenDot cards at retailers, for example, may cost as much as $4.95 per transaction, although some cards offer free alternatives at certain merchants or bank branches. While having more retail locations where consumers can add money may provide added convenience, it comes at a cost. General-purpose reloadable cards also often have monthly fees. These fees may range as high as $9.95, but they are waived in some cases if a minimum amount is loaded onto the card by direct deposit each month—often $500 or $1,000. Bank-account structures are increasingly similar, as fewer banks now offer free checking without conditions. Banks typically offer products with a monthly fee that can be waived if the account balance or direct deposits exceed a certain amount or if the consumer opts to forego certain features such as monthly paper statements. Account information can also be hard to access for free. Many prepaid-card providers are successfully using technology to provide account information, offering features such as online account access and text alerts. But for consumers not using high-tech options, prepaid-card providers may charge customer-service fees for even basic information. Some prepaid-card customers will incur fees even to find out how much is left on the card at an ATM or through an automated phone line, and many cards charge to speak to a customer-service representative on the phone. Unfortunately, these less-than-consumer-friendly practices are not limited to general-purpose reloadable cards: Among unemployment-benefit cards, 22 states charge for some balance inquiries at ATMs, and six states charge for all balance inquiries, including inquiries made at in-network ATMs. Among government-issued prepaid cards, Direct Express most closely resembles a model card. The card has no initial or monthly fees, and it offers one free cash withdrawal per month at more than 50,000 in-network ATMs. Direct Express also allows recipients to receive cash from bank tellers at no cost and offers free balance inquiries at ATMs and free customer-service phone calls. Monthly paper statements are available for $0.75, and recipients can be automatically notified when government direct deposits are made and when the account balance is low. Similarly, California’s card for unemployment compensation received the highest ranking from the National Consumer Law Center for its lack of fees. Consumers can access cash for free through both in-network ATMs and—for up to four withdrawals per month—out-of-network ATMs, as well as bank tellers. Consumers using out-of-network ATMs, however, may still incur fees from the ATM’s owner. Balance inquiries and customer-service phone calls are always free. California, however, does not offer direct deposit for unemployment compensation, meaning that all funds must be routed through the card instead of giving consumers the choice to receive funds in their bank account—a choice that banked Californians would likely prefer. Recently, some new entrants into the general-purpose reloadable-prepaid-card market have also approached fees differently, signaling a potential shift away from nickel-and-diming consumers. American Express’s Bluebird card, launched jointly with Walmart, has no monthly fees at all, but it charges for some services. And the Chase Liquid card takes a somewhat different approach, with a $4.95 monthly fee for all customers but free deposits and withdrawals at all Chase branches and ATMs. Offering more predictable fees may lead to stronger products in the future. Despite promising advances, prepaid-card fees remain a serious issue. An analysis by the Pew Charitable Trusts of typical bank-account and prepaid-card customer costs found that bank accounts may often be more economical than prepaid cards, but this ultimately depends on how each financial product is used and which fees are incurred. Either way, these fees are likely to be far lower than what check cashers and other alternative financial providers may charge. At the same time, fees remain only one distinction between prepaid cards and bank accounts. A regular bank-account customer may be able to obtain an affordable car loan, home mortgage, or other financial products by virtue of the banking relationship, and he or she may also be encouraged to open a savings account. It remains unclear whether prepaid-card customers will be able to graduate to other financial products in the same way that bank-account customers do. Some prepaid-card providers such as NetSpend now provide savings features through a linked account, but this is still not a common practice in the prepaid-card sector. Moreover, prepaid cards have been used to evade consumer-protection laws designed to rein in predatory lending. In states where the practice of short-term, high-cost payday lending—making small loans for about two weeks at triple-digit annual interest rates—is banned, payday lenders have tried to use prepaid cards with overdraft features as a way to skirt state law. In September 2012 the Office of the Comptroller of the Currency challenged one bank for “safety and soundness” concerns after the bank was found to be issuing prepaid cards in this manner. While bank accounts have clear rules on overdrafts—and consumers need to affirmatively give banks the power to allow overdrafts and charge for them—these standards are still unclear for prepaid cards, despite what conventional wisdom suggests the word “prepaid” means. In 2011 Sen. Robert Menendez (D-NJ) introduced S. 2030, a bill that would create a new regulatory category of prepaid cards known as “spending accounts” for most general-purpose cards, not including nonreloadable cards of under $250. Spending accounts would be required to have FDIC insurance, free access to account information, and paper statements at the cost of $1 or less. Additionally, the bill would ban fees at the point of sale, overdraft fees, declined-transaction fees, in-network ATM fees, inactivity fees, customer-service fees, and account-closing fees, among others. Overdraft and credit features would be banned as well. The proposed Senate bill would also require the Consumer Financial Protection Bureau to create standardized fee disclosures for consumers so that they are able to compare fees across cards. The bill did not make it out of committee. In addition to government regulation, voluntary moves toward improved products have also taken place in the prepaid industry. The Center for Financial Services Innovation, an organization that tracks financial products for the unbanked, launched the Compass Principles in 2012, a blueprint that recommends a set of model practices that prepaid providers can follow to create stronger products. The four principles for prepaid providers are to “embrace inclusion, build trust, promote success, and create opportunity.” The organization has also proposed a model “fee box” based on lessons from other environments such as credit-card disclosures and nutrition labels. This fee box would both provide key information on fees and guide consumers to make better decisions when buying and using prepaid cards. Prepaid cards of all stripes—government, payroll, and general-purpose reloadable cards—have evolved to meet consumers’ needs with lower costs and greater convenience than cash and traditional paper checks. But current market practices suggest that, in some circumstances, prepaid cards have a long way to go before they are truly affordable and effective bank-account substitutes. The following actions are valuable first steps to improving prepaid cards for unbanked consumers. Government cards should be held to a higher standard to ensure that taxpayer-funded benefits ultimately go to recipients. This includes clearly stating fees, offering free account-balance information, and expanding free ATM access. Direct Express offers some of the strongest features of any government card, while some states’ cards fall short.States that contract with financial-services providers to issue cards should take into account available branch networks to ensure that benefits are not needlessly eroded by an array of fees. Furthermore, states should also offer a way to cash out the remaining balance on a card without a penalty. These standards must also maintain direct deposit as an option. As the National Consumer Law Center indicated in its latest report on state unemployment cards, five states do not offer direct deposit of unemployment benefits, forcing recipients to use a single card. This is illegal. 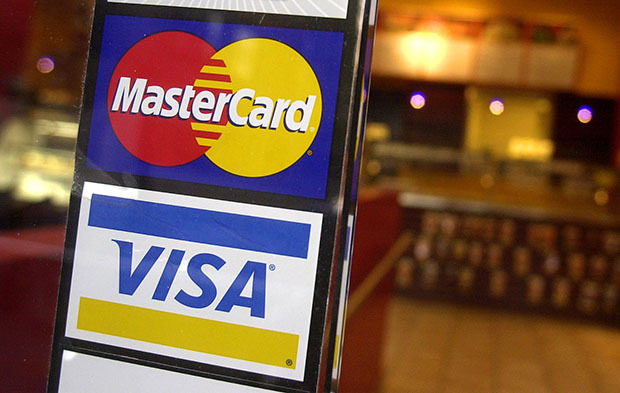 Consumers cannot be forced to accept a certain card or account. Some bank-account regulations, including deposit insurance, access to account information, and protection for lost or stolen cards, already apply to government cards, as well as payroll cards. To create consistency across personal-banking products, these rules should also extend to all general-purpose reloadable cards. Regulating prepaid cards as distinct from bank accounts runs the risk of creating loopholes for financial institutions. Consumer-focused regulations in general should reflect what financial products actually do, not the technicalities of who issues them or what legal status they hold. Requiring common consumer protections across prepaid cards and bank accounts not only suggests changes for prepaid cards but also offers an opportunity to modernize bank-account requirements as well. Before purchasing a prepaid product, consumers should be able to clearly understand the fees that prepaid cards may charge for common services such as adding money to the card and using the card at ATMs or in retail stores. This information should be available both on the card’s packaging and on the Internet so as to encourage consumers to make smart decisions. What’s more, these fees should be described in plain language, not financial industry jargon. “Loads” should not be used in place of deposits, for example, and “POS” should not be used to describe cash back at merchants. Consumers should also know about fees that can be collected by other companies as part of their card usage. The fee box proposed by the Center for Financial Services Innovation is a valuable first step. Based on existing disclosures for credit cards and food labeling, the proposed fee box would include major categories of fees, as well as clearly spelled-out opportunities for consumers to reduce or avoid fees altogether. Some prepaid cards have been marketed as tools for “building credit,” even though their credit-building claims may be experimental or unproven. Moreover, some cards may even carry frivolous disclosures such as “free FDIC insurance,” even though consumers would not directly pay for deposit insurance. Similarly, prepaid-card packaging in retail stores often includes the statement “This is Not a Gift Card” to distinguish general-purpose reloadable cards from gift cards, yet both types of cards may be on the same display. Given these trends, regulators, including the Consumer Financial Protection Bureau and the FDIC, should consider requiring additional warnings to clearly indicate what these cards truly can and cannot do. Managing money with a prepaid card may be different than handling cash or a checking account. The transition to a prepaid card may be challenging for some consumers, particularly for recipients of government cards who have been able to easily track expenses using cash in the past. One potential educational opportunity being tested with the Direct Express Card is the PayPerks initiative, which provides online financial education to customers with the potential for small cash prizes. If prepaid cards are truly intended to be a mainstream product, helping consumers be more informed about their cards is in all prepaid providers’ best interest. Nearly four decades after the Cash Room closed at Treasury Department headquarters, federal and state governments and private businesses have moved away from cash and paper checks. In recent years prepaid cards have risen in popularity and importance, enabling consumers without bank accounts to benefit from the shift to electronic transactions from cash and participate in the financial mainstream. At the same time, however, not all prepaid cards are created equal. Improving consumer protections can bring prepaid cards closer to their bank-account counterparts, expanding access to safe, affordable, and transparent financial services for all Americans.